I have no idea how I've never thought of this before. Paintbrushes held in drink pitchers. I love the fact that my paintbrush containers now have handles! 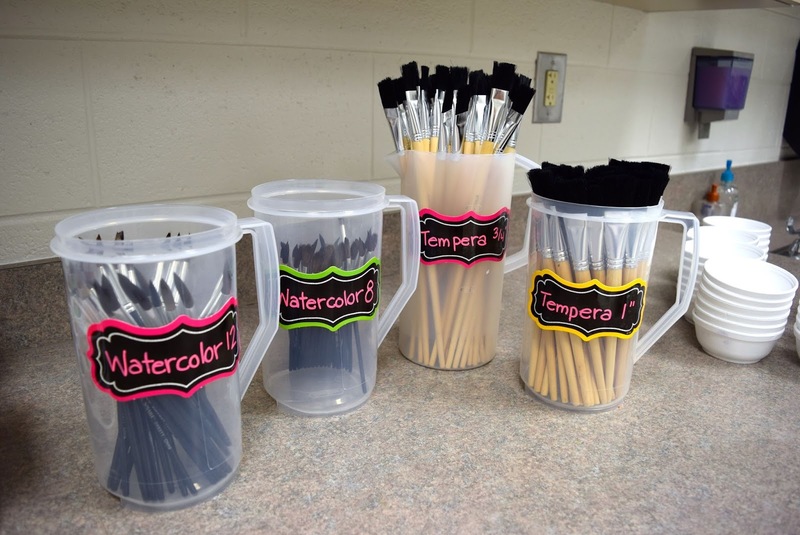 It's so much easier walking around the classroom handing out brushes now! I've also added pretty labels to them so if I ever send a student to go get them for me.. they'll know which container to bring!